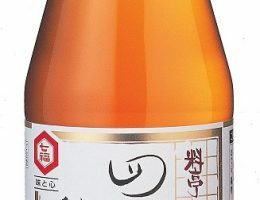 A product produced by Shichifuku Brewery, the originator of white soup stock. Japanese soup stock (bonito, dried shiitake mushrooms, kelp) is added to organic white soy sauce. 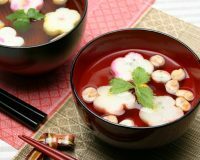 You may make your own authentic Japanese style soup simply by adding hot water to this white soup stock. Authentic Japanese style soup can be made simply by adding hot water to this white soup stock. In cooking, since the colour is very pale, it will not spoil the colour of the dish. Recommended for seasoning noodles and stewed dishes.